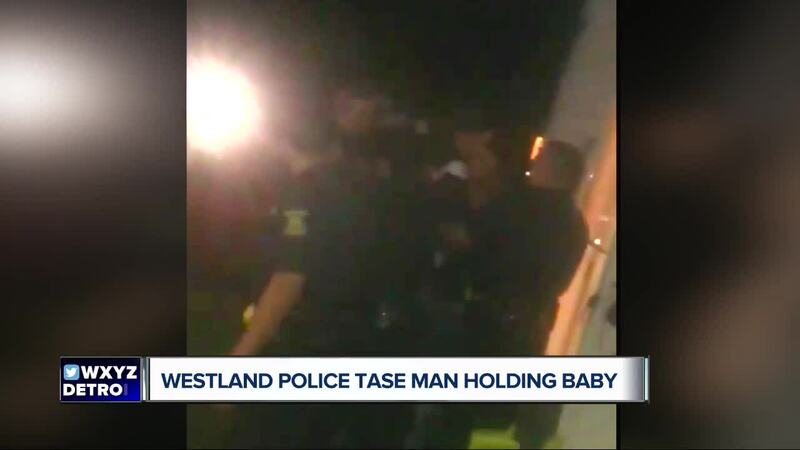 A video that has gone viral on Facebook appears to show a Westland Police Officer tasing a man as he is holding his two-month-old baby. The incident happened Friday night at a home on Alberta Court where neighbors were having a barbecue. Witnesses said police arrived because of a call about a fight. Williams said they didn’t understand what the officers were talking about. “Get the baby out of here. 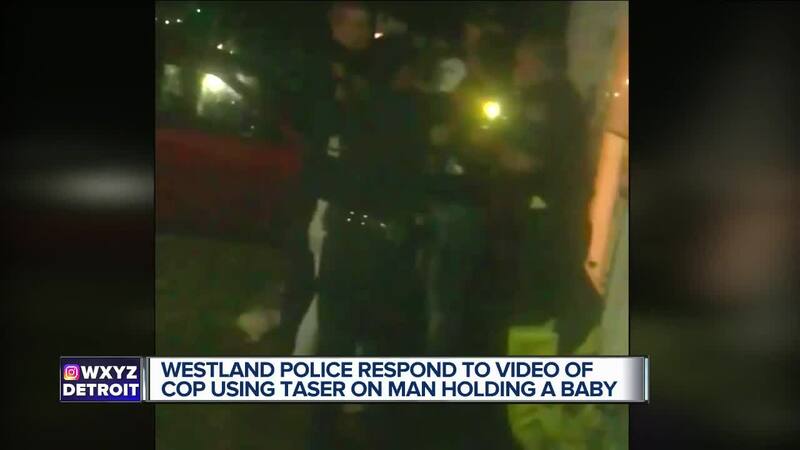 Get the baby out of here,” a Westland officer said. Officers then crowd into Brown with a taser out. Nichole Skidmore, Brown’s girlfriend, and mother to two-month-old Christopher come to try and take the baby. It appears in the video that Brown was still holding on to the baby and in the midst of passing the baby on to Skidmore when he is tased. On August 17th Westland Police Officers were dispatched to an address on Belding Court in Westland on report that a male subject had physically assaulted a female and that he had damaged her vehicle.